James DeGale and Chris Eubank Jr. went head-to-head last night in their hotly anticipated grudge match at The O2, promoted by Premier Boxing Champions (PBC) and Poxon Sports, exclusively live in the U.K on ITV Box Office in the U.S on Showtime. With bad blood between the two fighters stretching back nearly a decade and so much on the line, tensions were running high. Each fighter was desperate to prevail on the night and DeGale, the Former Two-Time IBF World Champion, had gone so far as to dub the bout ‘the retirement fight’ in the build-up. While DeGale did enough to edge a cagey first round, Eubank Jr. set the pace in the second round as he unleashed a bruising left hook spark an eight count against his rival from referee Michael Alexander. 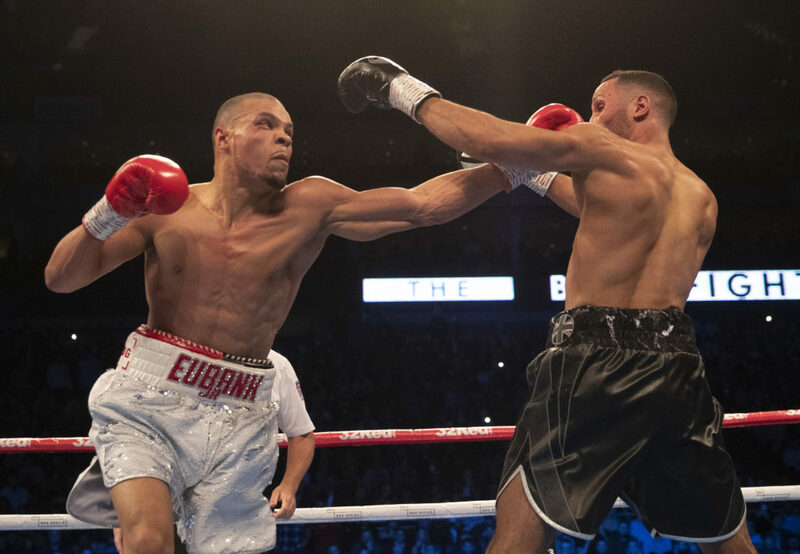 From that point on, DeGale, who suffered a cut above his left eye in the early exchanges, fought courageously but struggled to find answers to the younger Eubank Jr.’s consistent level of aggression and intensity, which never diminished as the fight wore on. Eubank Jr. demonstrated great patience to slowly build up a point advantage with flurries of activity before he again used his bullish strength to send DeGale to the canvas in the tenth round with another left hook. Degale picked himself up and fought on with pride and guts but a relentless Eubank Jr. finished strongly to make sure of victory in 12 rounds, which came by unanimous scores of 117-109, 114-112 and 115-112. The Brighton based fighter received warm applause from fans on all sides of the packed O2 arena when his arm was held aloft by the referee to signify not only victory but the most significant win of his professional career. On a high-quality undercard Olympic silver-medallist Joe “Juggernaut” Joyce steamrolled Former WBC World Champion Bermane Stiverne in the sixth round to defend his Commonwealth title and extend his unbeaten record to eight victories. The win also sees Joyce line himself up for a shot at the WBA ‘regular’ World Title. Earlier in the night, Wales’ Lee Selby fought on with cuts above both eyes when he moved up two weight divisions to beat Omar Douglas in his first bout at lightweight. He won 116-112, 116-112, 116-114 to claim the Vacant IBF Intercontinental title. Andre Sterling put himself in line for a shot at the winner of Josh Buatsi and Liam Conroy for the British Light-Heavyweight title after defeating Ricky Summers by unanimous points decision on scores of 97-92, 97-92, 97-93. LCpl Chez Nihell, 6-time UK Combined Services Champion and England’s 2018 ABA Elite Super-Heavyweight Champion, kicked off his pro-career with a 39-37 win over Kent Kauppinen. Belfast southpaw Anthony Cacace defeated Argentina’s Alan Castillo torecord a sold points win on scores of 79-74 as he looks to get back into title contention this year.